Study Accounting Level 5 for the opportunity to earn an endorsed certificate from Ofqual’s regulated awarding body. Explore the field of professional Accounting at Diploma Level 5, building the skills and knowledge to pursue a rewarding career in Accounting. Get started on your endorsed Level 5 Accounting Certificate right now! If you’re serious about building a lifelong career as a qualified accountant, we’re serious about making it happen! Our most advanced Accounting - Diploma has been designed for ambitious candidates with the very top of the ladder in their sights. Accounting helps businesses to measure, monitor and plan their operations. Study from home at a pace that suits you for a fully-accredited Accounting - Diploma, which could transform your career prospects like never before. Backed by the committed support of your own personally-assigned tutor, success has never been so accessible! This engaging Accounting - Diploma introduces the most advanced complexities and core concepts of the industry in a digestible and structured manner. Explore the recent evolution of the Accounting profession, along with the skills required to confidently work with balance sheets, income statements, cash flow statements and more. Emerge qualified, capable and with the confidence to step into a high-level Accountancy position with an established organization, or perhaps start your own Accounting company from scratch. Accounting - Diploma units take students from the basic Accounting fundamentals to the various Accounting concepts used by the accountants for keeping records of the capital expenditure of a company. From understanding debits and credits and using simple T-Accounts to closing out the Accounts at the end of an Accounting period, producing the statement of retained earnings and balance sheet, you will learn how each step is completed. Explore the roles, advantages and limitations of contemporary corporate Accounting. Explain how to determine optimal cash balance. We do not ask for any previous qualification or experience.There is no particular entry requirement. At the end of the course, learner can claim an endorsed certificate by paying £120 accreditation fee.There are £9 postal charges for the UK students and £15 for the non UK students. Anyone wishing to boost their career prospects. Is the 260 hours controlled? i.e A timer on your account once you have used the 260 hours, it no longer gives you access to the learning materials? This is the estimated time. Your course will not expire till you successfully complete it. How possible to start with level 4, because everywhere else you can start with level 4 if you already done with level 2 and level 3. Dear Szabolcs, You can enrol directly on level 4 course. There is no need to complete level 1-3, as level 4 course combines all the 4 levels. 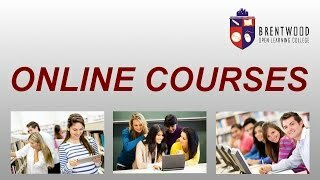 The course starts from the very basics and takes you to the advanced level. We, therefore, do not ask for any previous experience in the subject as it suits the beginners as well. On course completion students can claim endorsed certificate by paying £95 accreditation fee. Certificate postal charges will be £9 for UK and £15 for outside of UK. Could you tell me about exams, how it is work? There is one final exam the end of the course or we have some exams durring the course? Dear Szabolcs, The courses are assignment based. After each course unit, you will complete an assignment which you will submit to your tutor for marking and move on to your next unit to complete the course. In the end, you will be accessed by your submitted assignments. There is no formal exam to take at the end. On course completion students can claim endorsed certificate by paying £95 accreditation fee. Certificate postal charges will be £9 for UK and £15 for outside of UK. Hi. I'm from Pakistan and need to know who what exact certificate do I get after completion of this course. I'm asking about the accrediting body. Dear Waqas, This Accounting Level 5 Advanced Diploma is endorsed by ABC Awards, which is Ofqual's registered awarding body. Their qualifications are respected by the employers in the UK and abroad. I would like to ask that exams are online exams or in personal somewhere? If personal, where can we take the exams in the country? Dear Szabolcs, We are an online college. Our courses can be completed from around the world. The courses are assignment based. After each course unit, you will complete an assignment which you will submit to your tutor for marking and move on to your next unit to complete the course. There is no formal exam to take at the end. On course completion students can claim endorsed certificate by paying £95 accreditation fee. Certificate postal charges will be £9 for UK and £15 for outside of UK.